Destiny 2 has had a rocky 12 months to say the least, but the future is bright again for the franchise with the upcoming launch of their latest expansion, Forsaken. Set to launch on 4th September, Numskull Designs have today announced details on their new merchandise range which is set to launch on the same day. Forsaken will revolve around Cayde-6 and that focus continues into the new merchandise range with new t-shirts and snapback hats emblazoned with his face. There are three t-shirts available to choose from and come in UK sizes XS – 2XL, letting you proudly show your loyalty in your favourite design. The snapbacks also feature Cayde-6 heavily but again are completely unique from each other. If you prefer collectibles over clothing, then how do six brand new keychains sound? Each one is a replica of a fan favourite Ghost shell that can be found within the game. 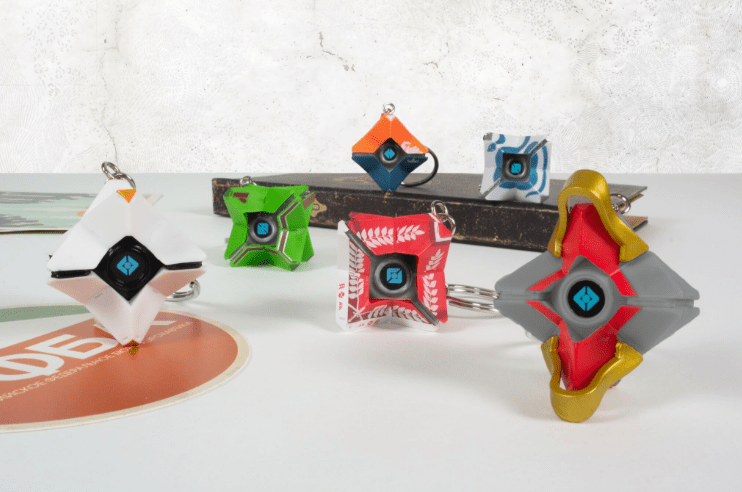 Generalist Shell Ghost, Cayde-6 Ghost, Kill Tracker Ghost, Lambda Ghost, Last City Ghost, and Hunter Ghost – all look great on your keys but look just as good as miniatures on display. And it wouldn’t be a Numskull merchandise range if there wasn’t a candle on offer, but they’ve outdone themselves this time with a collection of four! 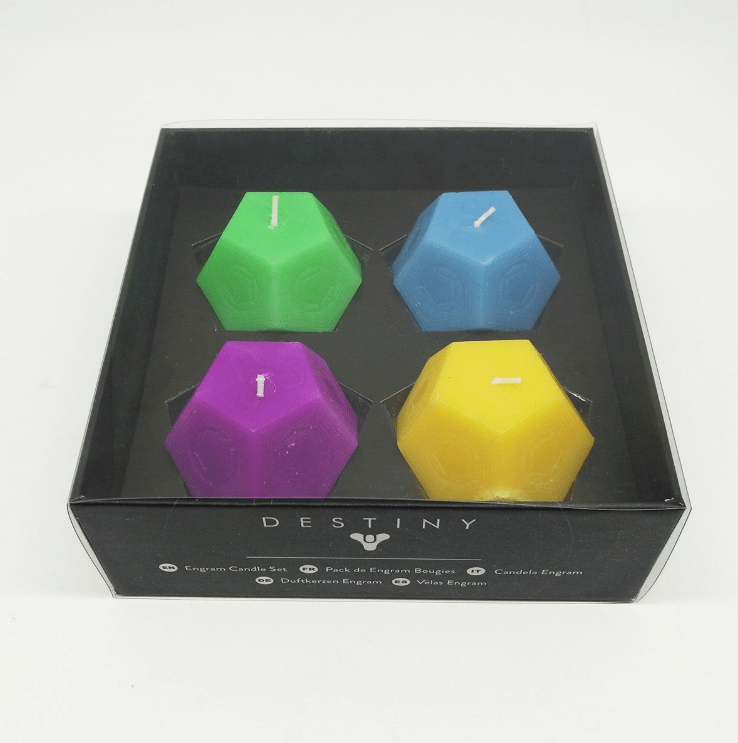 These candles have taken their inspiration from the Engrams that Destiny players have spent thousands of hours looting. They can be lit for an immersive gaming experience outside of the rebuilt Tower, but look great even as an ornament. All these new products and the previous products can be preordered from Numskull – http://www.numskull.co.uk/official-destiny-merchandise/ – or are available on Geekstore. They will also be available from retail at Amazon, GAME UK & Spain, GameStop Italy & Ireland, Koch Media Germany, EB Games Australia & New Zealand. Destiny 2: Forsaken and this exciting new merch range are set to release on Tuesday 4th September. As always, let us know in the comments below what you fancy from this new range.